Over forty nights a year are spent together with thousands of the same people, with the same hopes and dreams as you on the roller coaster ride we call a hockey season. All that time spent experiencing the same intense emotions, you begin to bond with other fans, the atmosphere, and even the team itself. You never want that feeling to end, you want it to last as long as possible but one day you hear the final whistle and it’s over. We are left with an empty void for months. That whole time we try to recreate the experience with no success. We try to figure out what went wrong and who should be cut or fired. We think about the good in the team and what we can build on. We might follow the draft, free agent signings, and trades. We listen to other fan or writer opinions while we form our own. We watch preseason hoping we see something positive in the team, but even that doesn’t satisfy our need to fill the void left at the last season’s end. This whole offseason has been building up to one moment. This is the moment when months of speculation start to become reality. New general managers, coaches, and player changes finally start taking shape. This is game one, this is opening night and there is always something special in the air. Is it the smell of the ice, because it has never smelt fresher? 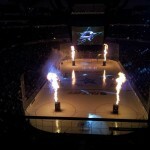 Could it be the scent of vulcanized rubber or the sound of the pucks as they hit the glass? Those are great things but I speak of a feeling shared by thousands of fans that attend the opener. It is the feeling of hope. Every team starts the same and there is a hope that this time will be special. Perhaps this is our year you never know. I never miss an opener because the experience is one of the best you will get this side of the playoffs. I have been to every home opener since 1996. I’ve missed important meetings, business trips and more. In fact the importance of this game to me was clearly shown in 2010. 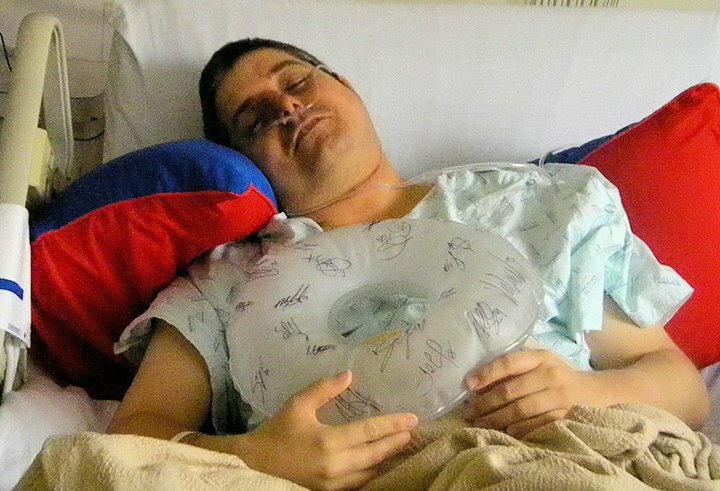 After being diagnosed with colon cancer my doctor scheduled surgery for me to have a puck sized tumor removed. He told me the date and I said, “No! 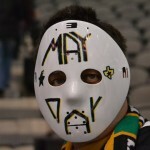 That’s the day of the Stars home opener I will not miss it. What’s the next possible date and can you get me well enough to make the game?” I made the game and have been cancer free ever since. The point of that story is that the home opener has come to symbolize even more to me. It’s a celebration of new hopes and beginnings for the team and for me personally. That’s why you might see me going the extra mile in my crazy outfits or my efforts to greet the fans and get the crowd into the game. If it’s a new beginning then we want to get it started right. Fans can motivate teams, a motivated team gains momentum, momentum can win games and create winning streaks. So what are we waiting for? Let’s Go Stars!!! My opening night costume, alongside the Dallas Stars Ice Girls.